Business hours: 6.30am to 11pm, daily. FOODIES will be treated to an alternative dining place in Sunway Resort Hotel and Spa as The Resort Cafe makes its debut on Sunday. Located at the Lobby Level, The Resort Cafe, measuring 1,634 square metres, is touted to be a “theatre of senses” for patrons with its international flavours. 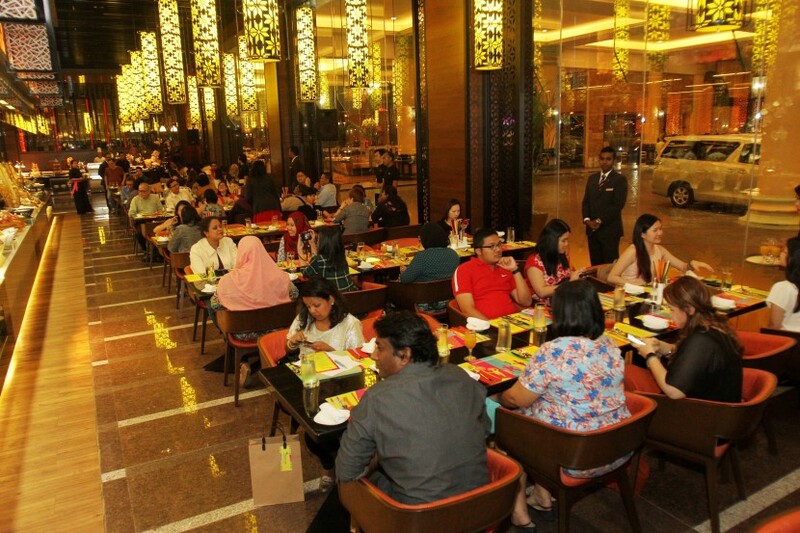 Its Malaysian, Singaporean, Indonesian, Thai, Vietnamese, Korean, Japanese, Chinese, Middle Eastern and Western dishes are set to appeal to a myriad palates while the restaurant’s buffet island (top pic) , measuring up to 58.7m in length, has 60 dishes from seven different menus, on rotation, daily. There are more than 50 ala carte selections for patrons to choose from. Headed by five main chefs, who draw inspiration from their different backgrounds, patrons will be able to enjoy breakfast, lunch and dinner menus with an exciting range of dishes. During a recent media preview, guests were presented with a tasting menu comprising 3-Minute Egg with Essence of Chicken; Miso Soup with Maca Root, Oyster and Lobster; Uncle Ray’s Black Pepper Kway Teow; Nutmeg Slush; Churrasco selections of wagyu beef (karubi), giant prawn, lamb loin, squid and pineapple; a side of black bean (feijoada); while a buffet spread was also available. For dessert, the Cherry Blossom on Mount Fuji (Super Luxe Ice Kacang) and roti ais krim (Ice Cream with Bread) was served. The express lunch sets that comes with a soup of the day and a main course is specially catered for those on the go. With a seating capacity of 362, the restaurant is divisible into three dining areas with its own characteristic design. Those with a hankering for broths can head to the hot pot corner with spicy broth and tomato broth among the items available at dinner. Chic three-tiered tiffin carriers filled with dinner set meals, offer choices of Indian, Kampung, Nyonya and Vegetarian meals. Patrons can watch the chefs in action as the live cooking activities and chefs interaction provide an interactive platform as they dine. The restaurant’s interior sees a motif-inspired decor, setting an aesthetically pleasing ambience with a Salad and Fruit Tower among the highlights. The wrap-around design is equipped with chilled water mist and refrigeration systems, blowing 10°C of cold mist to keep the fruits and vegetables fresh and crisp. The salad tower is presented in two tiers, with the first tier featuring a variety of greens while the second contains a motley of international and Asian homemade dressings to complement one’s salad. Breakfast, from 6am to 10.30am, is priced at RM82 nett per adult daily while lunch on weekdays, from noon to 2.30pm, is tagged at RM118 nett per adult. Diners can also opt for treats at the Salad and Fruit Tower at RM58nett per adult or the daily express lunch set at RM38nett per set. On Sunday, the buffet lunch at RM128nett per adult goes on until 3pm. 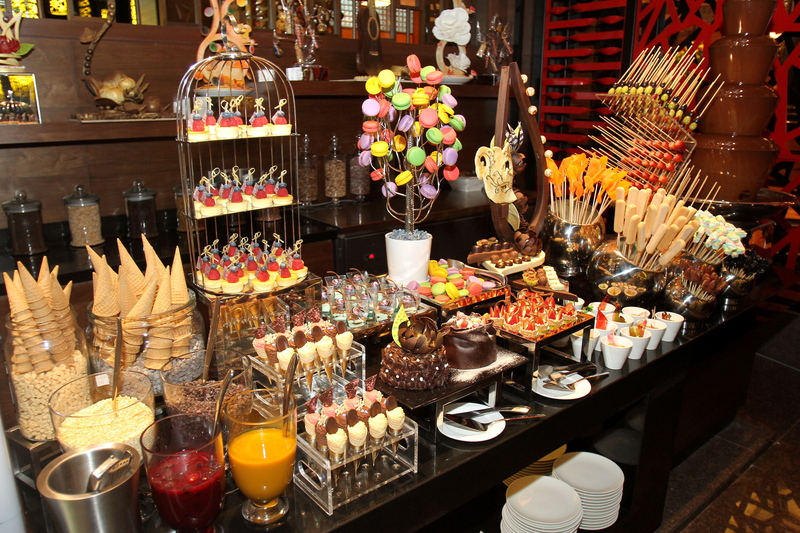 An assortment of pastries, macarons, cakes, kuih-muih among others are available during The Resort Cafe’s buffet. 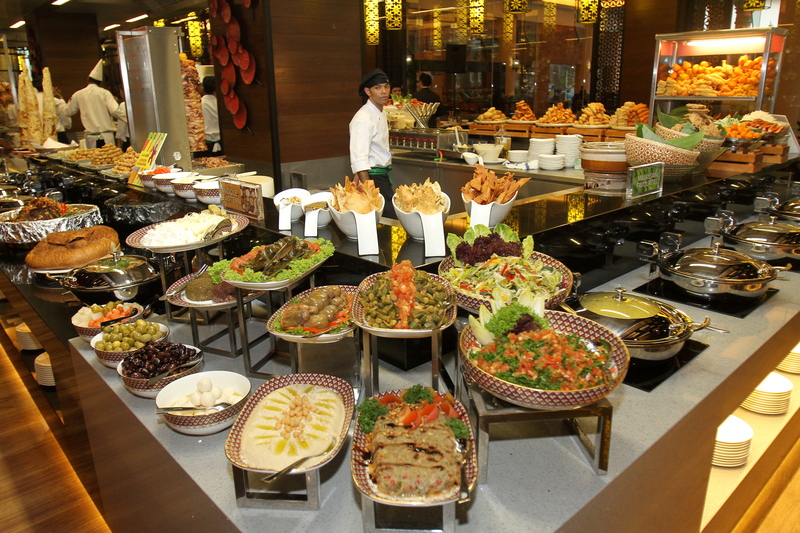 The buffet spread for dinner on Sunday to Thursday is priced at RM128nett per adult. Diners also have the option of the Tiffin Set at RM58 per set. Diners have three options for the Hot Pot set, which is available during dinner from Sundays to Thursdays. The basic Hot Pot set is priced at RM98 nett while the seafood set is priced at RM118 nett. Both sets are for a minimum of two persons. Alternatively, the Sukiyaki set is priced at RM56nett per serving for one person. On Friday and Saturday nights, there is an unlimited serving of Churrascoas the restaurant features a buffet-to-you concept, with tender and juicy meat on skewers, grilled to perfection, then sliced and placed onto diners’ plates. A full buffet with the Churrasco option is priced at RM168nett per adult and RM138nett without the Churrasco. This is inclusive of Goods and Services Tax (GST). Dinner is served from 6.30pm to 10.30pm while the a la carte menu is available daily from 11am to 11pm.